A group of Japanese with intellectual impairments have launched an internet broadcasting station of their own to have their voices heard and offer people opportunities to learn more about those with disabilities. "Pansy Media," based in Higashiosaka, western Japan, broadcasts an online TV program once in a month, with many cast members and production staff having some kind of intellectual impairment. The 50-minute program, which began in September last year, offers news and documentaries, as well as a feature called "my history" in which a person talks about his or her personal background. Each time, a dozen people participate in shooting. Pansy Media is being run with support from the city-based social welfare corporation Soshien that manages group homes and workshops. The plan to set up the internet broadcasting station, the first of its kind in Japan, dates back to 2001, when disabled people who use those facilities and staff members visited Sweden and saw their counterparts producing an information magazine and radio programs. Inspired by the activities, they started preparing to set up an internet broadcast station in February last year, backed by the president of a video production company. While they were rehearsing for a shooting of a drama episode depicting abuse of residents at a care facility, a shocking incident occurred in July of that year -- 19 residents at a care home for people with intellectual impairments were killed by a former employee of the facility in a city near Tokyo. 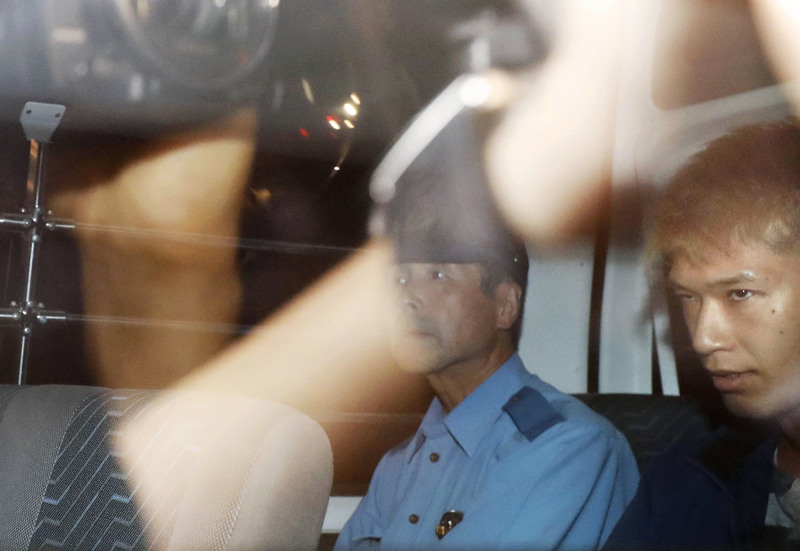 Satoshi Uematsu, who has been indicted in the mass-killing in Sagamihara in Kanagawa Prefecture, told police he wanted to "save" those with multiple disabilities and felt "no remorse" for what he did. "We didn't choose to have intellectual disabilities," "Don't we deserve to live?" -- in the wake of the stabbing rampage, the members of the broadcast station added these two lines to the drama script. Yoshinori Umehara, 42, a producer with cerebral palsy, said, "Media often feature the voices of parents or supporters, but not so much of the people with intellectual disabilities themselves." Once again, Pansy Media produced a program featuring the Sagamihara stabbings this month. Yoshimi Hayashi, a 67-year-old head of Soshien, said she was surprised by how the cast changed after making appearances in the online program. They started to speak up positively as if they were letting out feelings that had been kept inside, Hayashi said. "It brought awareness to facility staff too, like, 'I didn't know you were thinking like that'." In Kanagawa, Mayumi Narazaki, who has an intellectual disability, also established a new group with other fellows. "Everybody wants to talk (about the Sagamihara incident) but there has been no place for doing so," said Narazaki, 39. "If more people come to know that we also laugh or get angry (despite disabilities), maybe we can abolish discrimination." Akira Otsuka, professor at Sophia University in Tokyo who studies decision-making processes for people with intellectual disabilities, said while there have been some activities led by such people within organizations for the disabled and progressive facilities, care home staff and parents tend to make decisions for them. "What is important is not to induce these people into a certain direction, but for supporters to give them information in a respectful manner so that they can express their opinions freely," Otsuka said.